My baby girl is almost up for sitting up all by herself. I can’t believe we are at that point already. She just keeps getting cuter and cuter everyday. I set up this little photo shoot to document this stage for her and was able to use this super cute tutu courtesy of Peace Love and Kids. I admit it. I’m such a sucker for all the fru fru stuff for little girls. I think it is just so cute on them! Especially for pictures. I paired the tutu up with one of my scarves. I just tied it in the back. She looked like such a little lady with her feet crossed! 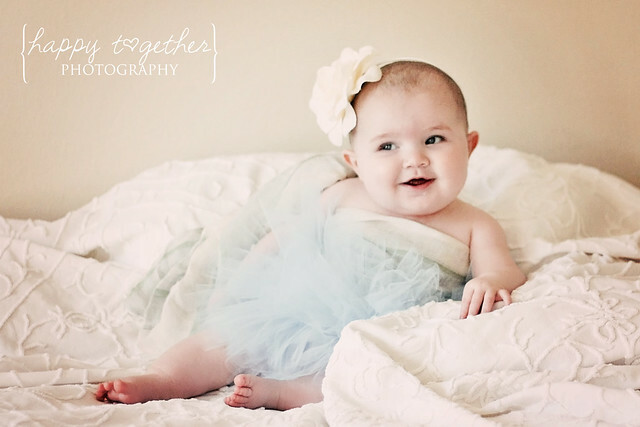 Peace Love and Kids wants to share some tutu cuteness with one Happy Together reader too! Crystal, the owner of Peace Love and Kids, if giving away one single color tutu (any size from 0-6 years old). You choose the color! This would be a great photo prop, a fun birthday outfit, or just for playtime. To enter, go visit Peace Love and Kids and pick out your favorite item. Then come back and leave a comment stating what your favorite was. I love the Ahoy Ruffle Dress – Girl Twirl Anchor Sailor Dress It would be perfect for my little girl! Please make sure to leave contact information if it is not in your profile. Otherwise, if you win and there’s no way to get in touch, another winner will be chosen. Feel free to email me separately if you do not want to leave it in your comment. #1- Follow Peace Love & Kids blog and leave a comment stating you do. #2- Become a Peace Love & Kids Facebook Fan and leave another separate comment stating you do. #3- Follow Peace Love & Kids on Twitter and leave another separate comment stating you do. So, that’s up to 4 different possible entries! Comments are open until February 8, 2012. 1 winner will be chosen via random.org. I LOVE the Sweetheart Ruffle Bottom Baby Bodysuit Valentine’s Day Girl Heart Applique. Super cute! love the ahoy ruffle dress! and the sammy sea turtle bodysuit! Super cute! I would love a green on for my daughter, Ivy! I have to say, the Bubblegum Pink fluffy tutu is probably my favorite…though those ladybug bloomers come in a very close second!! 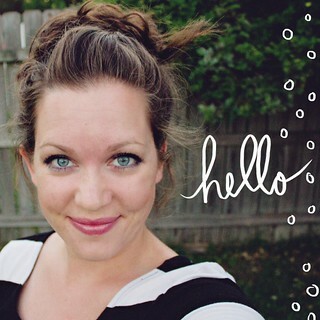 Just subscribed to her blog via RSS…so cute! I love the ahoy ruffle dress. So cute! So many cute things!!! I love the Boy’s Heart Breaker Tie Baby Bodysuit Or Long Sleeve Shirt. All your stuff is cute but I really love the Valentines Day Boy’s tie bodysuit! So VERY CUTE! I added the Ahoy Ruffle Dress to my favorites. It is so adorable. I love the Yellow Ducky Ruffle Bottom baby Bodysuit! I “like” Peace Love and Kids on Facebook! I love the duckie ruffled bottom onesie! So so cute! I have three girls (6, 3, 2) and am expecting my fourth baby this summer. A tutu would get a lot of use in this house! 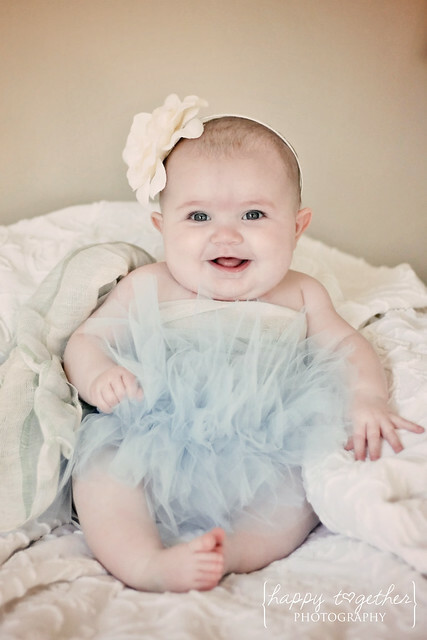 Oh, I LOVE tutus!!! Those red ones are my favorite! I loved the tutus best, but the little boy tie shirt was a close second as well as the baby bloomers with the ladybug on the bum! 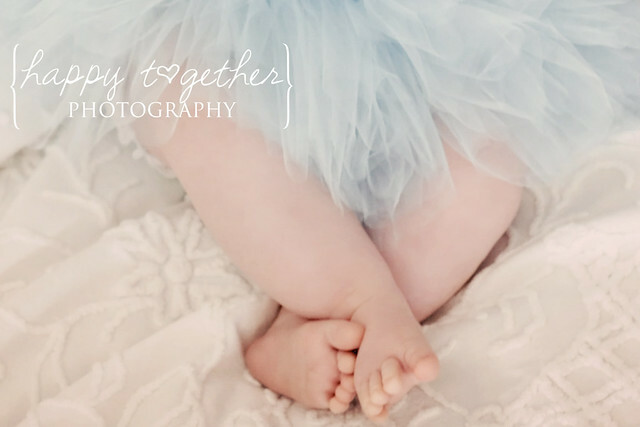 I love the fluffy tutus! 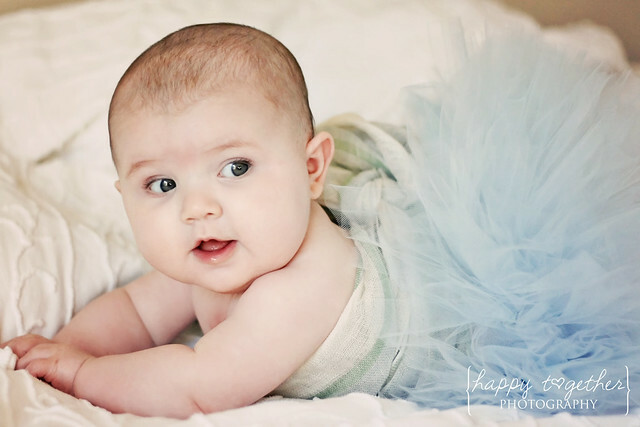 I love love love the Aqua Fluffy Little Tutu…I hope she makes one in purple, too! My favorite item is the pink tie dyed onsie, but as it is too small for my girl, I’d pick the yellow tutu. im so glad you shared these! she looks JUST LIKE HER DADDY!!!!! The Shamrock shirt is adorable! Im following her blog! Shes even got tons of cute ideas! Liked Peace Love and Kids on FB. Following Peace Love and Kids on Twitter! I love the goldfish blue ruffled dress! It would looks so cute on my granddaughter! Thanks! I liked peace love and kids on Facebook. I love the Little Chick Yellow Fluffy Little Tutu! oh my. so cute! 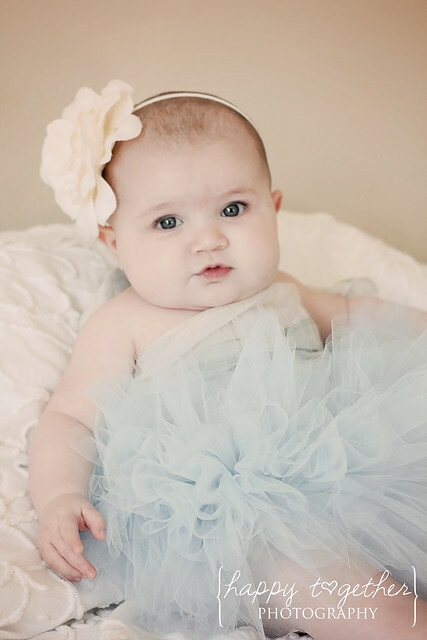 the aqua fluffy little tutu has stolen my heart. thanks for the opportunity! I love the sea turtle shirt and all of the tutus!! Love the goldfish twirl dress! So cute! I follow there blog also! I’m sorry I didn’t read that right. I liked you on Facebook!!!! 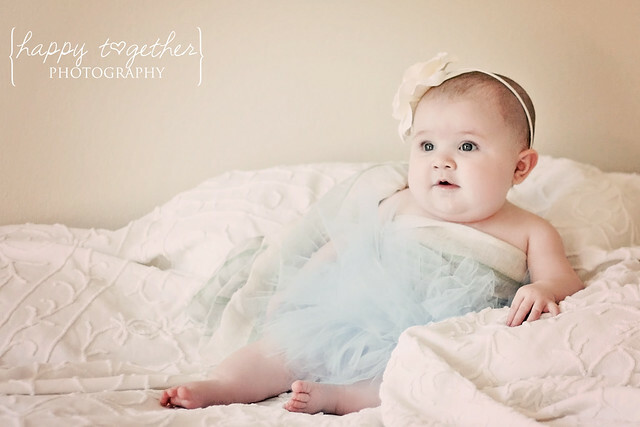 LOVE everything, but I really love the aqua fluffy little tutu! I love the anchor shirt. But I really love the tutus. I love the ahoy ruffle dress! and the sammy sea turtle bodysuit!